The importance of focused cardiac ultrasound (FCU) in Internal Medicine care has been recognized by the American Society of Echocardiography. 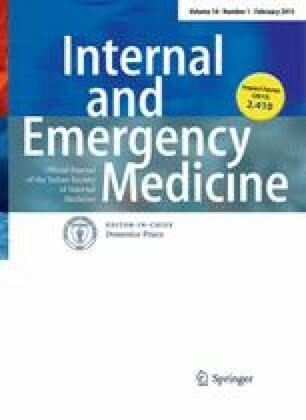 The aim of this study was to test what realistic skill targets could be achieved in FCU, with a relatively short training (theoretical and practical) of 9 h offered to Internal Medicine certification board attending students, and if the addition of further 9 h of training could significantly improve the level of competence. Kappa statistic was used to calculate the inter-observer agreement (trainees/tutor). The agreement between the trainees (who completed the entire training) and the tutor was, respectively, “substantial” (k = 0.71) for the identification of pericardial effusion, “moderate” (k = 0.56–0.54) for the identification of marked right ventricular and left ventricular enlargement, “substantial” (k = 0.77) for the assessment of global cardiac systolic function by visual inspection and “fair” (k = 0.35) for the assessment of size and respiratory change in the diameter of the inferior cave vein (IVC). 18 h training in FCU provided proficiency in obtaining adequate images from the parasternal window without providing the ability to correctly master the apical and subcostal windows. As concerns the interpretative skills, only pericardial effusion and visual estimation of global systolic function could be correctly identified, while ventricular enlargement and IVC prove to be more difficult to evaluate. This study supports incorporating FCU into Internal Medicine fellowship training programs, and should facilitate the design of other similar training courses.